One of the most exciting and challenging aspects of being the channel for the Council of Love are the many incredible adventures that accompany this mission. It began way back when they asked me to channel for virtual strangers; to head out to Joshua Tree to discover inter-dimensional reality; to develop and conduct classes including the annual gatherings in Sedona and in various Cities of Light; to write and publish books, and, to allow continual refinement and expansion of the unfoldment of my sacred mission and purpose. One of the most exciting assignments the Council has ever given me has been doing the InLight Radio shows. In the beginning I was terrified. “You want me to do what? Channel on the radio – are you crazy?” Having been down this road before I knew that it was futile to resist – not because I don’t have free will, but because the most important thing in my life is to fulfill my promise to the Mother. To be the channel for the Council of Love is my life’s purpose. I have both paid dearly and been rewarded richly by saying, “Yes.” It is not always easy to say yes to the next step – especially when you don’t really know the full expanse of the whys or wherefores. But, yes is what I say because I trust in the Council. I know what lies ahead is always far bigger and way more fun that I can possibly imagine. I know that by saying yes, I will grow and gain a deeper understanding and connection with the love. And so, it’s time to say goodbye to InLight Radio and head in the new directions that the Council of Love are laying down for me. It’s been an incredible journey. Doing An Hour with an Angel with Steve Beckow and Heavenly Blessings with Suzi Maresca has pushed me in ways I could not have foreseen. I have grown and blossomed in ways I couldn’t even imagine. We have walked through the process of understanding Ascension; we have and are riding the waves of the Mother’s Tsunami of Love; we have claimed our Divine Authority; we are claiming our ascended selves. This has been a walk of trust and of love. It has been a walk of building community and mutuality. That doesn’t dissolve or disappear; that foundation allows all of us to take the next step. The support not only of Steve and Suzi but of Stephen Cook and Anthony Morrison, Geoffrey West, Paul Backes and the wonderful team of transcribers and editors who worked tirelessly behind the scenes has shown me what nova communities look like, and how they operate. It’s been an amazing 7 years. It has been the behind the scenes collegiality and friendships of InLight that have sustained this endeavor. It hasn’t been just about work or production. It has been about mutuality and love; the sharing of a common mission and vision of Nova Earth. It is with mixed feelings and incredible anticipation that I move into the next adventure the Mother is laying out before me. 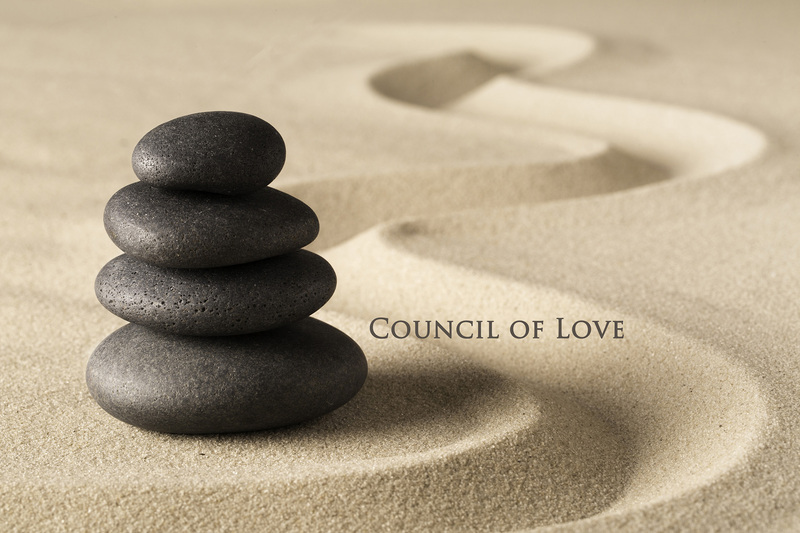 Starting mid-July I will begin doing a weekly radio show called The Council of Love with Linda Dillon on Spirit Broadcast. It’s time to meld the channelings, meditations, audience input and Linda life lessons into a cohesive whole. Is this a walk of trust? Most certainly. Is it in many ways bittersweet? Most certainly. Is it exciting knowing that the Mother is beckoning me to new directions? You bet your life! While my participation with InLight Universal comes to a conclusion, I want to reassure you that the Council of Love and Linda Dillon aren’t going anywhere. The Council will, as always, continue to provide insight, guidance and wisdom. We’re merely changing direction and expanding our horizons, not leaving the planet. I hope each and every one of you will join with me in thanking Steve and Suzi and everyone who has contributed to InLight. I also hope each and every one of you will join me in this new adventure on Spirit Broadcast. The Divine Mother has beckoned us all to embrace and co-create with Her in this time of New Beginnings. I’m ready for the next adventure – are you? Lord Maitreya: Get into the love…however you can! Divine Mother penetrates us with her gift of clarity so we can help her infuse the entire planet!! !